MEMPHIS, TN (localmemphis.com) - Police say an effort to crack down on copper thieves is working. Memphis police announced Friday, they charged 25 year-old Anthony Bobo with Aggravated Burglary, Theft of Property over $1000-$10,000 and Vandalism over $10,000 - $60,000. "FBI says copper thefts endanger U.S. infrastructure"
A recent assessment by the Federal Bureau of Investigations found that copper thieves are negatively impacting the nation’s infrastructure. The report said the problem is caused by thieves who are targeting electrical sub-stations, cellular towers, telephone land lines, railroad faicilities, water wells, construction sites in most major cities “for lucrative profits.” Of course, the thieves also are hitting and often ruining vacant homes. Copper theft from the private and government targets “disrupts the flow of electricity, telecommunications, transportation, water supply, heating and security and emergency services,” the FBI said. The crimes present a risk to national security as well as public safety, the agency added. 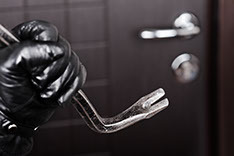 Call 528-CASH if you know or suspect there are copper thieves destroying homes in your area.